If you have any questions about raising chickens or chicken diseases , ask them here. When you have questions you about raising chickens. baby chicks, chicken coops, chicken breeds - or anything else related to raising your own chickens - ask them here. We have over a 1000 questions that have been asked by our raising chicken fans. If you would like to see the answers to these questions click here. Questions about raising chickens has become one of our most popular areas. Because we have answered so many questions about chickens we have a very large database of questions about raising chickens. Sometimes people need answers fast. We did a lot of research and found a website with Veterinarians on staff that will answer most questions about chickens in minutes. Why Should I Trust This Vet Service? "Just Answers" has a very tough process for each Veterinarian to follow before being allowed to join. Must have approval from other experts in their field of experience. Must be certified or licensed in their chosen field or judged to be skilled in specific areas. What Will I Have to Pay For This Service? I know when one of my pets is hurt or sick the cost to help them usually goes out the door. Especially in emergency situations. Every cost is different but on average you will spend about $18. If you would like to use this service type your question below. 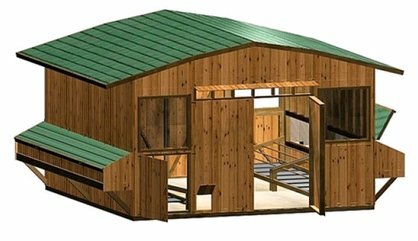 "How do I choose the best chicken coop plans?" I've been asked this question so many times that I decided to take time out to preview a couple coop plan resources. If you're in need of chicken coop plans that are truly helpful then take a look as I simplify the process for you. WEAK LEGGED CHICKS - GUMBORO? Is this a sign or symptoms of Gumboro disease or what might be the cause? Our Plymouth Wyandotte cook is 22 weeks old and never laid an egg. Her comb has turned yellow. WHAT WOULD MAKE CHICK SUDDENLY LETHARGIC? URGENT Can mother hen brood the chicks?